A Thanksgiving charity dinner in San Francisco seems likely to end up in court after three people died and at least 14 people were sickened. The church-sponsored meal at the American Legion hall in Antioch, California served food prepared by various people at home. People became sick within 24 hours of the dinner. The meal was free as part of an annual tradition that is similar to such dinner all over the United States. Some 835 people were served, including people from assisted living facilities and homeless people. The turkeys, hams, and other dishes were donated by volunteers while other dishes like instant mashed potatoes and stuffing, gravy and green beans were purchased in packets. Some of the people who became sick ate food that was brought home from the dinner. Such charity functions often raise challenging problems. These dinners serve a large number of people but they do not charge for such services. However, that does not protect them against tort liability. The case is reminiscent of Samson v. Reising, 62 Wis. 2d 698 (1974). On February 6, 1968, Pearl Samson attended a luncheon, which was put on by the Wauwatosa High School Band Mothers Association (an organization organized to give support to the high school band) at the Wauwatosa Trinity Episcopal Church. Pearl Samson paid $ 1.25 and ate a luncheon consisting of turkey salad and dessert. On Wednesday evening she became nauseated. She eventually was found to have salmonella food poisoning. Turkey samples were later found to have salmonella. Nine different mothers cooked the turkeys. This case ultimately turned on the court’s interpretation of the doctrine of res ipsa loquitur used to prove such cases with a paucity of proof. The doctrine requires “(1) The event or accident in question be of the kind which does not ordinarily occur in the absence of someone’s negligence; and (2) the agency or instrumentality causing the harm must have been within the exclusive control of the defendant.” The court found that first criteria satisfied but ruled that it failed on the second criteria of exclusive control. They could not prove which of the band mother’s Turkeys was the culprit so all of the band mothers walked. (1) Liability of person or gleaner.–A person or gleaner shall not be subject to civil or criminal liability arising from the nature, age, packaging, or condition of apparently wholesome food or an apparently fit grocery product that the person or gleaner donates in good faith to a nonprofit organization for ultimate distribution to needy individuals. “(2) Liability of nonprofit organization.–A nonprofit organization shall not be subject to civil or criminal liability arising from the nature, age, packaging, or condition of apparently wholesome food or an apparently fit grocery product that the nonprofit organization received as a donation in good faith from a person or gleaner for ultimate distribution to needy individuals. to supercede State or local health regulations.”. Section 1714.25 (a) Except for injury resulting from negligence or a willful act in the preparation or handling of donated food, no food facility that donates any food that is fit for human consumpt ion at the time it was donated to a nonprofit charitable organization or a food bank shall be liable for any damage or injury resulting from the consumption of the donated food. The immunity from civil liability provided by this subdivision applies regardless of compliance with any laws, regulations, or ordinances regulating the packaging or labeling of food, and regardless of compliance with any laws, regulations, or ordinances regulating the storage or handling of the food by the donee after the donation of the food. Contra Costa County Health Services normally issues a “community event/temporary food permit” designed for one-time or infrequent events where large volumes of food are served at places “with limited physical facilities and equipment.” There is still a requirement of an inspection by a Contra Costa Environmental Health inspector, in large part to ensure sufficient sanitation and hygiene to prevent the spread of “germs that cause diarrhea, vomiting, nausea, fever and, in certain circumstances, death.” Here the chief likely culprit would be clostridium perfringens, a bacteria that causes illness with undercooked meats. What happened here is sad, but we must keep in mind that thousands of events like this happen without any problems. I have served the homeless turkeys and hams donated from hotels and other restaurants countless times without any problems. The excess of society belongs to the poor, and we need to find ways of getting it to them safely. Trickle down economics works when we eliminate regulations that prevent it from working. We also need to pursue tort reform that would eliminate the fear of lawsuits for doing the right thing. When I was in college, I had a friend who worked in catering who desperately wanted to donate all the vast amounts of uneaten food to the homeless. Not scrapings, but extra food that was never served, and would go into the trash. The company couldn’t let her do it, however, because of liability. It was legally safer for them to have homeless pick through garbage cans than eat unserved food, because it had been sitting in the warmers for a few hours, and the liability was just too great. In this case, legally, it would be safer for charities to hire professional caterers, and have an in-house kitchen, then allow home cooked meals, and not to permit anyone to take the food home with them. I doubt the homeless were able to store leftovers properly refrigerated, and if there was a hint of salmonella, it would have been badly tainted by the next day. Plus, leftovers have been sitting out for hours before they finally get into the fridge if the appliance is available. And the homeless often have poor health and compromised immune systems, which makes them especially fragile. Turkeys are infamous for having salmonella. If you don’t flip the turkey in the oven, it’s easy to get a perfectly done breast and a slightly raw underside, and the juices taint the meat. Or you get an overdone breast to get the underside cooked. 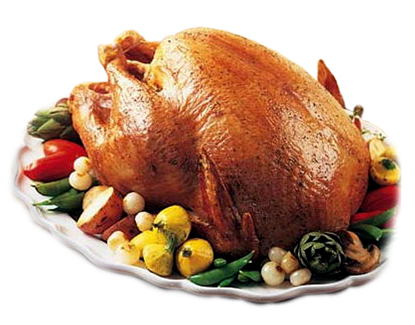 Even if you use a thermometer to monitor the temperature of the food being served, according to food safety guidelines, you have absolutely no idea if the turkey went right into the fridge from the grocery store, how long it sat out before it even got to the Hall, or if the cook made the mistake of stuffing the bird. The reality is that many charities do not have the funds to hire professional cook staff, and rely on food donations. I think this is a case where the legal solution, and the functional solution, may be two different things. After Fidel Castro passed away Friday night at 90 years old, the obituaries written about him in the American press typified the U.S. government propaganda used for decades to demonize Castro and obscure the tremendous social and humanitarian advances that the Cuban Revolution was able to achieve in the face of unrelenting interference, subversion and destabilization. None were more over-the-top in their bias than the obituary in the New York Times. It’s hard to imagine any Western leader being called a “fiery apostle.” The phrase suggests Castro was driven by an irrational, religious mission to undertake revolution, rather than having resorted to armed resistance as a last resort after the possibility of nonviolent opposition through political means was eliminated. In 1952, as Castro was favored to win a seat in the House of Representatives, Fulgencio Batista promptly cancelled the upcoming elections as it became clear he would not be able to hold power in a free and fair vote. Only after this did Castro and others start to organize a guerilla resistance in order to prevent rule by a military dictatorship. Calling him a “fiery apostle of revolution” is reductionist and Manichean. Aside from misrepresenting the Cold War timeline, the idea that it was Castro who was responsible for Cold War tensions with the United States is laughable. Castro immediately reached out to the U.S. government after taking power in 1959, and even visited the country four months later. Upon arriving he was stood up by President Dwight D. Eisenhower, who decided to play golf instead of meeting with Castro. The next year, Eisenhower would cancel the sugar quota Cuba depended on for export revenue, provoking Cuba to exercise its sovereign right to nationalize U.S. properties. In return, the U.S. government prohibited delivery of oil to the island, which led to Cuba seeking oil from the Soviet Union. It is strange that Castro’s commitment not to compromise on the sovereignty of Cuba and its people would be seen as remarkable enough to draw attention to it so prominently. Imagine a Russian obituary to Ronald Reagan stating that he defied the Soviet Union. Such a statement presumes that the natural state of affairs would be subservience to the dictates of a foreign power. Americans would find this notion absurd. This is one way of stating that Castro survived more than 600 assassination attempts authorized by multiple U.S. executives and resisted their criminal economic war that sought “to bring about hunger, desperation” and “hardship” and to this day continues to deny food and medicine to children. A year and a half prior to the Cuban Missile Crisis, the CIA directed a mercenary invasion of Cuba that failed spectacularly after it was quickly repelled. Understanding that another invasion was imminent, Castro sought nuclear missiles from the Soviet Union because he believed it would be the only possibly deterrent to another U.S. attack. Meanwhile, the United States had nuclear missiles positioned across Eastern Europe at the Soviet Union. When Kennedy protested to the Soviets, Khrushchev offered to withdraw the missiles before they reached Cuba if the U.S. would likewise withdraw its nuclear missiles from Turkey and promise not to invade Cuba. Kennedy said this would “look like a very fair trade” to any “rational man.” Yet, he was still not satisfied and instead of accepting it decided to engage in a game of chicken that could easily have resulted in a nuclear holocaust. To pin responsibility on Fidel Castro for the escalation of this situation is a gross distortion. This I don’t take issue with. The rest of the obituary is riddled with other inaccuracies and rhetorical flourishes that all predictably echo decades worth of U.S. government propaganda. The Times claims Castro “ceded much of his power to his younger brother Raúl.” In reality, Fidel resigned his position as the President of State in 2006. He did not personally hand power to his brother in a dictatorial display of nepotism. Raúl was at the time Vice President, having been elected in the process stipulated by the Cuban Constitution. Likewise under the Constitution, as Vice President he assumed the role of the Presidency upon the resignation of the current President. No different than how succession would work in the United States. The piece goes on to make unfounded claims of Castro’s self-aggrandizement (“he believed himself to be the messiah of his fatherland”) and launch evidence-free smears about his abuse of power (“he wielded power like a tyrant, controlling every aspect of the island’s existence”). No one in recent history has been the subject of such vitriolic and politically biased propaganda emanating from the U.S. government as Fidel Castro. It is unsurprising that the self-declared paper of record in the U.S. would replicate the same disingenuous rhetoric rather than attempt to objectively assess the life of undoubtedly the most important individual of the 20th century based on documented facts placed in historical context. Paul, The American Legion has liability insurance. That’s who you would pursue. Insurance is almost always who is pursued in a tort. For almost 20 years I would help a church sponsored homeless meal mission in Madison. They serve lunch and dinner every day of the year. The guy who runs the place has the expertise in food prep, having done this for almost 30 years. Wednesday is the spaghetti w/ meat sauce supper. I would do a batch for my wives church and another church would have people bring in another batch. The manager, Paul, makes sure when all the pasta is put together that it is brought up to over 160 degrees, killing all the bacteria, w/ e coli being the main culprit in beef. 160 degrees is the USDA standard for beef. TEMPERATURE is key in fighting food borne illness. My family was in the restaurant biz and my uncle HAMMERED keeping stored food cooled properly and keeping prepared food properly heated. In the aforementioned homeless mission, the key is making sure all the hamburger meat in the sauce is thoroughly cooked. With meat, poultry, fish, salmonella and e coli are the main culprits. Regarding beef, the bacteria is on the surface of the cut of meat. So, you can eat a rare steak as long as the surface is fulling cooked, killing the bacteria. The problem w/ hamburger meat is it is ground beef and if there is e coli, it is also mixed into the ground beef. So, eating a burger that is not 160 degrees in the center has some risk. I do not think you can assign culpability in this case. You might go after the American Legion if they charged for the meal, but if it was free, I am not sure where you go and who a jury would go after. I share they computer table here at the mental hospital with Lee Harvey. That is his full name. He added “Oswald” to protect the innocent. They just came and took him away for some solitary confinement for some reason. I do not know if he will be back. I am signing in on this site under his name to let you know. He left the computer on here with the site on the screen. Talk about about a Thanksgiving Day bummer. I think Paul Compton has a good point. If some of these people are stumble bums, and took food home, do they even have refrigerators. But 24 hours is a pretty short time for salmonella to develop off a fully-cooked turkey. The follow up on this should be interesting. It would be interesting to know how many/if any got sick who didn’t take the food home. Clearly there is a high risk of Salmonella in food taken home and a higher risk in food tested 24 hours after the event. I believe the fatal flaw of the dinner service occurred due to the inclusion of home cooked ingredients from kitchens lacking sanitation facilities and trained workers–especially if any of the ingredients were mixed into larger servings. The elimination of home cooked dishes could be a great improvement where the preparation is centralized so that proper supervision can be maintained. I was born and raised in SF, worked there full time till I left in the mid-2000s. SF and Antioch are pretty much polar opposites. Yes, Antioch is in the SF Bay Area, but let me just put it this way: the number one destination for prisoners leaving N. California criminal justice system is (or at least was several years ago), Antioch. I estimate a studio apt in down town SF costs about $3k/mo, maybe $400 in Antioch. Never trust food prepared by folks not under some safety regulation. Just make a donation and if they force you to take the food, drop it off in the trash. Can’t tell you how many calls I get like this and there is very little any lawyer can do to help. Geesh, no good deed and all of that.